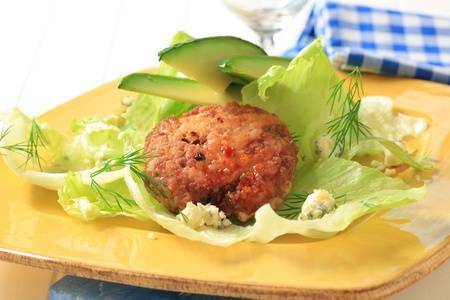 This avocado chicken burger is probably one of simplest recipes for a keto diet. It's packed with healthy fats and avocado is the best addition to any protein-based meal. A meal perfect for a busy day. Easy to prepare, delicious, and full of health benefits. If you'd like to try this nutritious recipe, here's how to prepare it. In a large bowl, combine ground chicken, garlic, almond flour, onion powder, pepper and salt. Add the avocado by gently incorporating to the meat forming four patties. Set aside. In a large skillet over medium heat, heat olive oil for about 1 minute. Add the patties to the skillet. Cook about 8 minutes per side or until golden brown and cooked through. Serve on a low-carb bun, in a lettuce wrap (if using), or on its own. If you use alfalfa sprouts, it's important to keep in mind that they can sometimes carry harmful bacteria. To avoid this problem, wash them at least twice before consuming them.